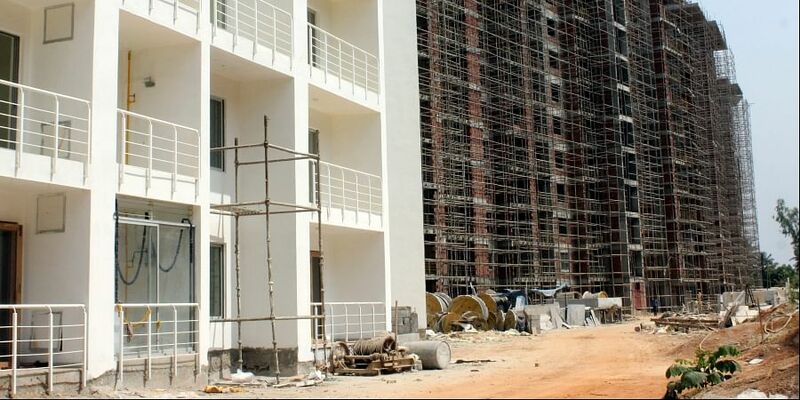 HYDERABAD: The Telangana State Real Estate Regulatory Authority (TSRERA) has decided to initiate stringent action against those erring real estate builders from the State who have failed to register their projects. From next week onwards, two TSRERA teams consisting of three members each will inspect the real estate projects in the jurisdiction of Greater Hyderabad Municipal Corporation (GHMC) and Hyderabad Metropolitan Development Authority (HMDA), TSRERA secretary K Vidyadhar told Express here on Saturday. Considerable time was given to builders and promoters to register their projects. However, many of them have failed to respond forcing the TSRERA to take action against them. He said the two official teams of TSRERA will inspect Hyderabad city and highway roads like Mumbai, Bengaluru, Nagpur, Warangal, Patencheru and few others where real estate projects (layouts and buildings) were taken up without registration under RERA and initiate action as per provisions of TSRERA Act by issuing notices and imposing heavy penalties on the defaulters. Vidyadhar said that all realtors who have taken up projects in more than 500 sq mts ie, apartments (having more than 8 units) and commercial buildings and got approvals between January 1, 2017 and August 31, 2018 from the respective local bodies have to register their projects under TSRERA before March 31 by duly paying Rs 2 lakh as penalty. Nearly, about 1,200 projects were given permissions in Greater Hyderabad during this period but only 500 builders have registered under TSRERA and the remaining 700 did not register. He further said that most of the unregistered projects under RERA were advertising their projects in daily newspapers, brochures, and TV ads and also through social media which is against the provisions of TSRERA Act and also liable for penalty. All the information appearing in print and electronic media on real estate projects would be collected and officials would approach these builders and visit property exhibitions to know whether their projects were registered or not. If they fail to reply, department will issue show cause notices and levy hefty penalties on them, he added. No promoter should advertise, market, book, sell or offer for sale, or invite persons to purchase any plot, apartment or building without registering the project with the TSRERA, he said.All the real estate developers have been given a last chance to register their projects before March 31 with Rs 2 lakh penalty, failing which they would be liable for further heavy penalties and action would be initiated against them.